We understand better than most people that water is unpredictable, as is the British weather and that there are times when you need a team on site at short notice to help. We offer an emergency call out service to our clients and can assist in the emergency unblocking of sluices, culverts, rivers and streams to assist in the prevention and reduction of flooding. As you would expect in our line of work we are also well equipped with Aquadam© pumps, generators, boats, lights, waterproof clothing, life jackets and are well placed to assist in helping during flooding emergencies. We also offer assistance in times of severe flooding to help with logistical support. We are well trained and equipped with boats and four-wheel drive vehicles to assist in the movement of equipment to get it where it is needed the most. Please be aware that during times of flooding we can experience many calls seeking assistance and because of this cannot always assist all callers. Where possible we will prioritise customers where there is risk to life before responding to other calls. Please contact us in advance to discuss what we can offer should you ever need us. Please note that we will undertake all action required to assist but that we are unable to put the safety or lives of our operators at unreasonable risk. 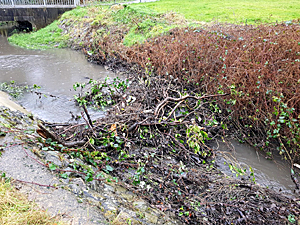 If it is deemed that ingress to a site is too hazardous we may be unable to help – please remember that the lead agencies in times of extensive flooding are the Environment Agency and the appropriate County council.